Many third party administrators (TPAs) promote debit cards for health reimbursement arrangements (HRAs) as a hassle-free mechanism for employee payment of medical expenses. 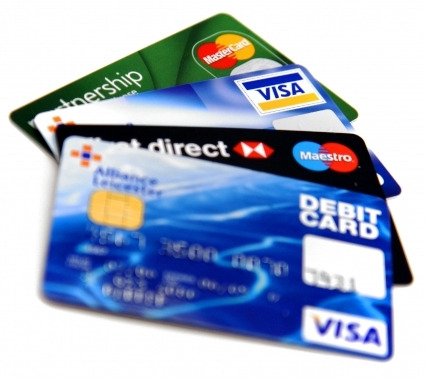 However, employers should avoid using HRA debit cards because doing so is time-consuming, costly and unnecessary. Mary is an employee of Employer X that uses a HRA Debit Card platform. Mary goes to the doctor and is presented with a bill of $300 at the time of service. Mary pays for the service in full ($300) using the pre-funded HRA debit card provided to her by Employer X. Next, Mary's insurance provider sends her a bill for $200, incorporating the discounts that her insurance company had negotiated with her medical provider. Mary then needs to submit a claim for the service. She submits a claim for the $200 shown on the bill, but Employer X has already paid $300 from the HRA debit account. It is now Mary's responsibility to contact the medical provider, obtain the dollar amount overpaid ($100), and provide it to Employer X. Employees who do offer an HRA without a debit card typically do not pay at the time of service and only request reimbursement using an Explanation of Benefits (EOB) from the insurer for the correct amount owed to the provider of service. HRA Debit Cards require the employer to unnecessarily pre-fund contributions to the TPA. Employers should never pre-fund any portion of the HRA contribution. This results in increased administrative (and operational) cost to the employer. In order to maintain compliance, an employee must submit a manual claim form with proper substantiation after using the HRA debit card (Note: most major pharmacies are IIAS compliant and bypass the manual claim requirement, however the majority of health care providers do not bypass this requirement). This often results in employee confusion. For example, if an employee would like to use the HRA debit card for reimbursement of over-the-counter (OTC) drugs, he or she must obtain a doctor's prescription and receipt from the pharmacy and submit that information the third party administrator. If the employee fails to submit the require information, the employer must "chase" the employee for the money. Also, doctor offices, pharmacies, and other medical providers are not required to accept HRA debit cards. Employers often choose debit card HRAs to avoid out-of-pocket expenses for their employees, but the end result is usually confusion and added administration. Employers who choose to utilize HRA Debit Cards may not restrict card usage to certain types of medical expenses. They also cannot vary the contribution by employee classifications. These are lost HRA plan design features that often result in better benefits at lower costs. A better solution is HRA administration software. With an administrator like PeopleKeep, employees pay for the expenses themselves and submit reimbursement requests to this business. This reduces time lost in administration and "pay and chase" operations. Everything you need to know about the new small business HRA reimbursement plan.